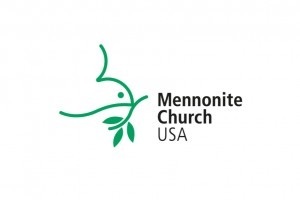 Culminating a three-year process, delegates at the Mennonite Church USA assembly in Orlando earlier this month adopted a resolution entitled “Seeking peace in Israel and Palestine,” with approximately 98 percent voting in favor. The resolution addresses the injustices of military occupation as well as the suffering caused by antisemitism. At the MC USA assembly in Kansas City in 2015, delegates tabled a previous resolution on Israel-Palestine and asked that it be revised and brought back to the next delegate gathering. A three-person writing team and a 10-member reference group worked intensely during the past two years, consulting widely across the church and with Palestinian and Jewish partners. The resolution focusses on ways American Mennonites have been involved in harms against both Palestinians and Jews, and names concrete steps to address those harms. This restorative-justice approach is one of the significant shifts from the resolution considered by delegates two years ago. “That’s what we are seeking to do in this resolution,” he said, “to hold together mercy and truth, grace and justice.” A goal of the process, he added, was to “help different parts of the body have conversation with each other,” drawing together advocates, agency staff and others to create a more comprehensive document. The resolution also calls on Mennonites to examine the legacy of antisemitism in their own history and life. It commends plans for several conferences in the next two years on topics including Mennonite involvement in the Holocaust, and examining how the church reads Scripture in light of the Holocaust. The resolution encourages American Mennonites at different levels of church life to strengthen and build relationships with Jewish communities. Introductory remarks at the July 5, 2017, session came from both Alex Awad, a pastor in East Jerusalem and professor at Bethlehem Bible College in Palestine, and Rabbi Brant Rosen of the Jewish Voice for Peace Rabbinical Council. Both of them praised the engagement and learning that had occurred through the process and pledged ongoing support. “It’s been a wonderful journey the past two years,” Awad said. “I’m thankful you have been listening.” He compared July 6 vote to a “final exam” on the issue after all the studying that had taken place. The resolution underscores a commitment to active nonviolence and a rejection of violence as dehumanizing and ineffective. It highlights the work of Palestinian and Israeli peacemakers who work for peace with justice, and reject violence and oppression, and challenges Mennonites to learn from and support these partners.